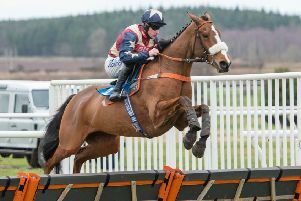 Kelso Racecourse is pressing ahead with plans to stage its Morebattle Hurdle Day race meeting this Thursday (February 14). An outbreak of equine influenza last week forced the suspension of all race meetings across Britain until Wednesday at the earliest, as test results were awaited by the British Horseracing Authority (BHA) to see if the illness had spread. Daily updates were being issued by the BHA and it would be a case of waiting to see if more positive test cases had emerged and seeking the advice of veterinary experts. But everyone at Kelso was hopeful that the gathering would proceed. 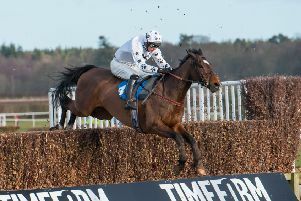 Race registrations and entries for Kelso started at the end of last week and Mr Garratt said he expected the entries would be very good – not least because of the lack of racing this week. The Kelso management had planned to honour the late Malcolm Jefferson, four-times winning trainer at the Cheltenham Festival and a previous winner at Kelso, by naming one of the races on Thursday’s card in his memory. The seven-race programme boasts £100,000 of prize money and, if it gets the all-clear, gates will open at 11.30am, with the first race getting under way at 1.25pm.